Regarded as one of the finest batsmen in the world, Virat Kohli is renowned for his aggressive and intense demeanor, whether on the field or in his brand endorsements. But, there is another aspect of his personality that the masses are unaware of. Through his brainchild One8 Fragrances, the sporting icon is giving his fans an insight into this hitherto hidden aspect: the playful, candid, light-hearted, and jovial Virat. 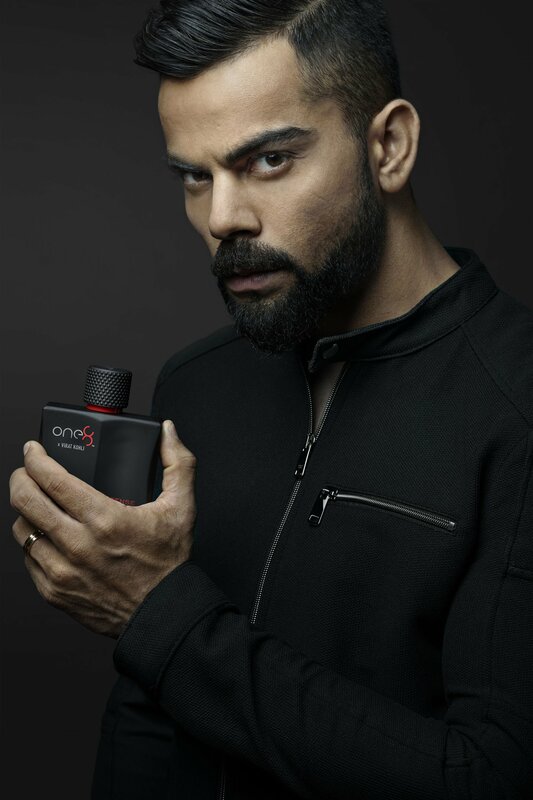 One8 Fragrances is a culmination of all the unfamiliar characteristics of Virat’s personality, a celebration of his philosophy and approach towards life – to be ‘Always on’. The marquee product offerings by One8 Fragrances include pocket sprays starting from as low as ₹75, along with deodorants – including Aqua, Willow, Intense, Active, Fresh, and Pure – priced at an extremely affordable price point of ₹225. The collection also has a range of Eau De Parfum (EDP) such as Aqua, Intense, Fresh and Pure, which are priced at ₹1,495. The fragrances have been created by some of the most premium French Perfumeries. With this collection, One8 Fragrance aspires to provide the masses with access to luxury at an affordable price. Christened after the number ‘18’ that belongs not just on his jersey but also holds immense significance in his life, Virat passionately believes in leading a life which encapsulates the essence of being 18 – young, uninhibited, liberated, and fun. It is this side of his personality which reflects in the brand and its collections, which are playful, spontaneous, and fun, yet determined and brave. Along with expanding its horizons and catering to all demographics, One8 envisions to strike a chord with its audiences, stir them up to create conversations, and build a legacy through its collections. The brand holds a special place in Virat’s life and he aspires to spread his ideology of being playful, lively, fun, uninhibited, and spontaneous through the vast collection of apparel, footwear, fragrances, and accessories by One8.